Love gardening? Wish you could get started with your favorite outdoor plants indoors during these cold winter months? One great way to do it is to use seed starter pots, as described on Seattle Sundries. And this very clever project allows you to turn old 2-liter plastic bottles into seed starter pots which will automatically hold the right moisture level for your plants most of the time (you do occasionally need to add water, but it’s easy to see at a glance if the soil is getting dry). To make one, you need a few simple ingredients, most of which you probably already have sitting around your house: 2-liter bottles, potting soil, seeds of your choice, yarn or thick string, a hammer, a screwdriver, and a knife. 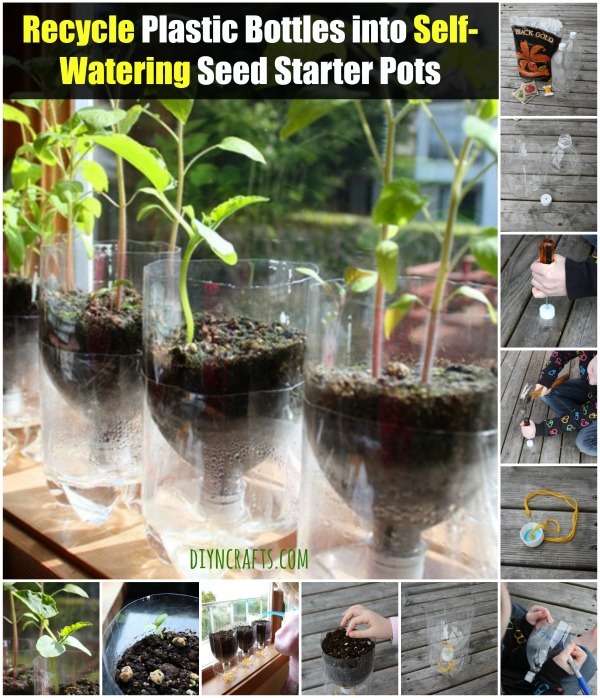 The step-by-step instructions will walk you through creating the starter pots and planting your seeds. Basically what you are doing here is cutting each bottle in half, and then setting the top half of the bottle upside-down in the bottom half of the bottle. This creates a chamber on the bottom where moisture can condense. The yarn goes up through a hole in the bottle cap from this lower chamber into the top chamber, drawing moisture up like a wick. As the soil dries, more water is pulled upward through the yarn. Tough to picture? Not with the photos and instructions, so drop by and take a gander. It’s a very clever concept and a great way to set up a clever self-sustaining system for your seeds to grow indoors. Make sure you do water the seeds now and again from the top, or the system will stop working. So it isn’t 100% self-sustaining—but it’s definitely low maintenance!